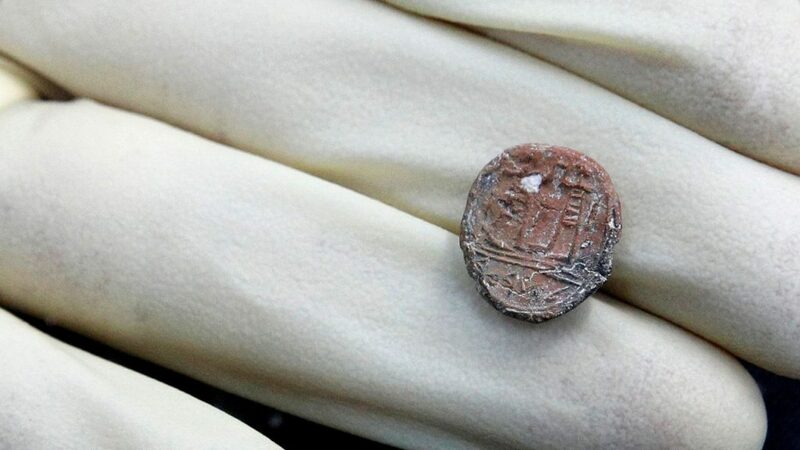 According to Reuters, archaeologists in Israel have discovered a seal believed to be 2,700 years-old that could validate part of the Biblical record. The seal was excavated by Shimon Cohen and has an inscription in ancient Hebrew that translates to “belonging to the governor of the city.” It was found near the plaza of the Western Wall in the Old City of Jerusalem. The seal is made of clay and is described as about the size of a small coin, like a penny. The depiction is of two different men facing each other. According to Antiquities Authority, it was probably sent as a souvenir or it was brought by a shipment to the city. The age of the seal was estimated based on the age of the soil that it was buried in. The excavation of the soil from the first temple would date to the 6th or 7th century BC, according to Arutz Sheva. “It’s very important because it proves it’s not only in the Bible, but there really was a governor of Jerusalem around the late first temple period,” said Weksler-Bdolah, according to a YouTube video released by the Israel Antiquities Authority on Sunday. Governors of Jerusalem are mentioned in the Bible, one of which refers to Joshua as the Governor in the second book of Kings. This comes on the heels of Donald Trump announcing he will move the US embassy to Jerusalem and officially recognize the city as the capital of Israel.